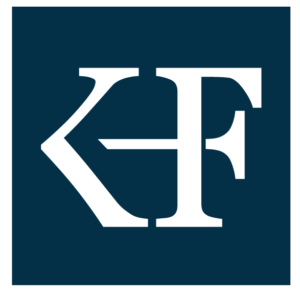 Kang Haggerty & Fetbroyt LLC (“KHF”) is a boutique law firm established in 2013 by a close-knit group of lawyers focused on providing effective and value-driven legal services. Founding members Edward T. Kang, Jacklyn Fetbroyt, and Daniel D. Haggerty had worked together for many years as colleagues before coming together to establish a modern, cost-effective, and client-oriented law firm. Initially the founding members concentrated their practice on business litigation matters, but we now offer counseling and representation for a wide range of legal issues in the following areas of law: construction law, bankruptcy and loan workout matters, real estate law, class actions, estate planning and administration, as well as insurance bad faith litigation. In line with the continuing diversification of our legal services, KHF has geographically expanded to include offices in Center City, Philadelphia and Marlton, NJ. Additionally, our team has grown to comprise a diverse group of attorneys and staff dedicated to the efficient and strategic handling of our clients’ legal issues. To that end, the Eastern Minority Supplier Development Council certified KHF as a Minority-Owned Business Enterprise. Altogether we have a depth and range of talent that peers and rivals recognize. The diversity of social, cultural, and political backgrounds that our team members represent bolsters our vision as a multi-cultural law practice with an extensive professional network. Despite our continuing growth and diversification, we never forget that our firm is ultimately dedicated to the success of our clients. At KHF, we believe our commitment to philanthropic endeavors is at the core of our firm’s culture and success. When it comes to civic involvement, we are leaders and volunteers in associations and organizations that span from Fishtown to Voorhees, Germantown to Doylestown. We are actively involved with organizations of many races, religions and beliefs. From Make-A-Wish to the National Multiple Sclerosis Society, the Walnut Street Theatre to the National Museum of American Jewish History, KHF makes monetary contributions to dozens of worthwhile charities each year. Our attorneys are proud to be front and center at charitable benefits in the Delaware Valley. We never forget how important it is to give back to the legal profession that provides us the opportunities to practice law. KHF gives support to the SeniorLAW Center, Support Center for Child Advocates, EducationWorks and other professional organizations that remind people that being attorneys is not only a privilege, but a responsibility to help those in need.